Product Specifications | PRODUCTS | Naito Kogyosho Co., Ltd. 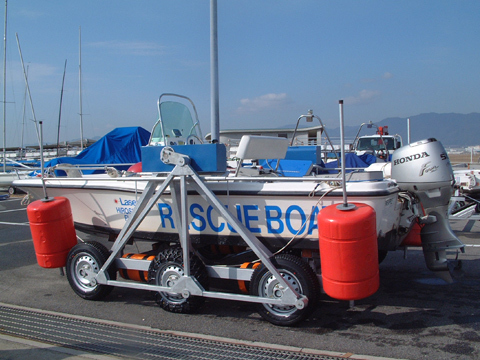 The P-10 model is designed for boats between 14 and 18 feet with an outboard motor. 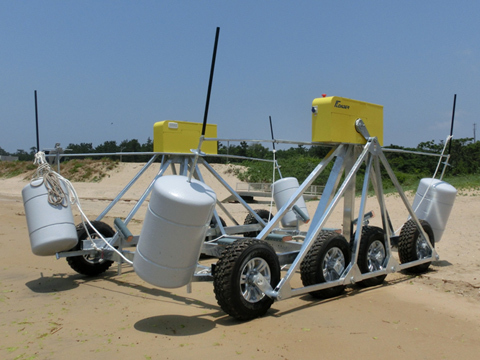 The Floader is driven by a dual-battery, 24V system. 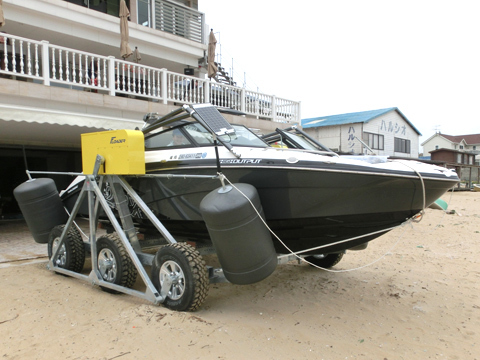 ※1 Adjustable to the width of the boat. ※2 When operated on flat, dry surfaces. 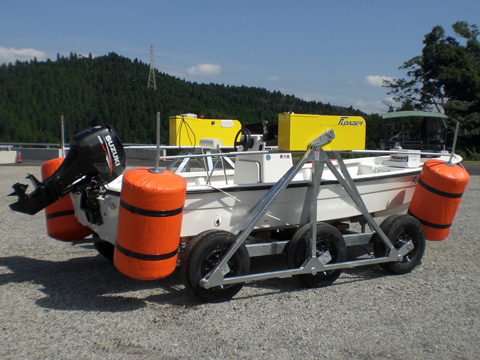 The P-20H model is designed for boats between 18 and 24 feet with an outboard motor. The Floader is driven by a four battery, 48V system. This model is an upgrade to the P-20 model with a faster drivetrain and increased torque. The P-30 model is designed for boats between 24 and 27 feet with an outboard motor. We are currently testing the prototype.